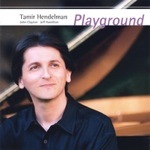 Tamir Hendelman Trio Playgrounds and Destinations Award-winning jazz artist Tamir Hendelman is the pianist for the Jeff Hamilton Trio. He also performs with the Clayton-Hamilton Jazz Orchestra, Harry Allen, Teddy Edwards, Warren Vache, Houston Person, Jeff Clayton, Nick Brignola, Phil Upchurch, Rickey Woodard, John Clayton and Barbara Morrison. 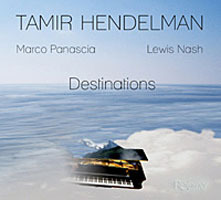 Tamir also leads his own trio which includes Alex Frank on bass and Dean Koba on drums. For group discounts, call Group Sales at 954.660.6307 or visit BrowardCenter.org/group-sales. To become a member of the Broward Center with access to great seats and pre-sales, call 954.468.2681 or visit BrowardCenter.org/Entourage today.